Posted on Dark Faerie Tales.Love stories come and go. Romances will make or break your heart. But erotica, it will hurt you in such a way that it will be memorable. 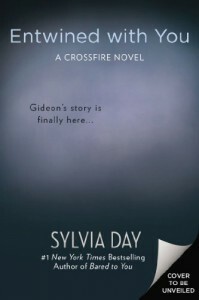 Sylvia Day’s latest installment of her Crossfire series is Entwined with You. Gideon and Eva has gone through so much together, but could they get through something like [spoiler]? There is still yet so much that Eva does not know about Gideon, and it feels like she is only making a scratch at his very guarded exterior. But one thing they both know is that they cannot live happily without each other. They both have risked so much for one another, could they risk one more for their love?The relationship between Eva and Gideon is somewhat at a standstill. 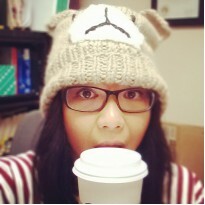 At times, I feel it starting to regress. There was a forward momentum of the characters, the story, their relationship that my mind was starting to prepare for the end. The many scenes, steamy or not, are beginning to overlap and mirror each other. Gideon is still as guarded as ever, and at times it is frustrating. But in the latter half of the book, I saw change in him. He knows that he wants Eva, and will change how he is to prove to her just how much he does. Eva, on the other hand, has become to second guess herself. I can understand her thinking, because I know I’ve been in that place, but after a while, she needs to stop being stubborn and learn to open up. But Eva and Gideon wasn’t always the main focus of the story. Cary has his own issues, as well as Eva’s parents. It’s nice to have supporting characters with a side story, but at times I thought they took over. And maybe it plays into the bigger storyline. And maybe, I just wanted much more of Eva and Gideon than I was already getting.I was excited for a resolution, and I didn’t get one. While normally, I love for series to extend into eternity, the story was starting to change its course. The writing was on the wall at the end of the last book, and I was worried with where Entwined with You would take me. To me, it felt like Eva and Gideon were starting to slow down in a manner of progress. I have many questions, and when the story gets stretched a little, the pacing begins to change. I can understand why Day changed the series layout, but I only wish that there were more resolutions in this book that could tide me over. But if I step back, remind myself that this is no longer the end and begin to think this is a mid-point in the series, only then I can make sense of how Day wrote the story. I can then start to believe that everything that has happened is there for a reason. It just feels like a lot to think about for a story that just wants to be told. (Did I mention the angst is starting to get to me? )Despite my qualms and complaints, I did enjoy reading Entwined with You.